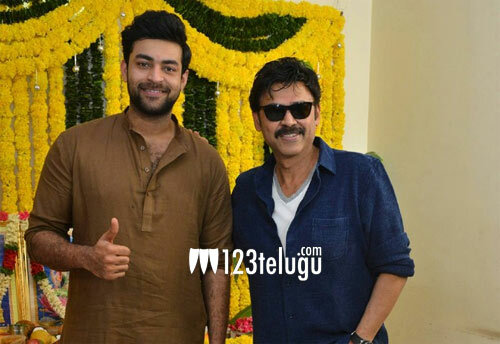 Fun N Frustration (F2), Victory Venkatesh and Varun Tej’s most eagerly awaited multi-starrer, was launched at a grand ceremony yesterday. The film’s first schedule will kick-start from July 5 and it will last until July 21st. The makers have confirmed that F2 will be hitting the screens for Sankranthi early next year. Already, the Sankranthi box-office will witness an intense clash between Balayya’s NTR and Ram Charan-Boyapati Srinu’s RC12. F2 joining the contest will only make things even more exciting. F2 is a hilarious entertainer. Tamannaah will be romancing Venky for the first time in her career. On the other hand, Mehreen Pirzada is paired opposite Varun Tej in the movie. Anil Ravipudi is directing the movie and Dil Raju is producing it. Devi Sri Prasad is the film’s music composer.